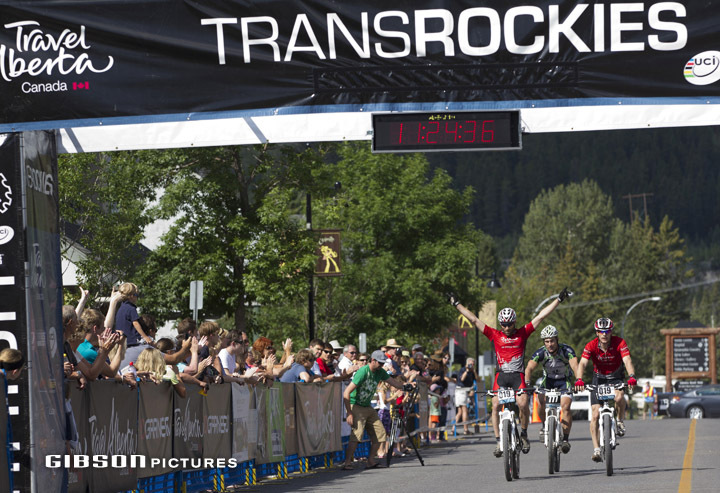 The 10th running of the TransRockies Bike race just wrapped up on the weekend and boy it was a good one. 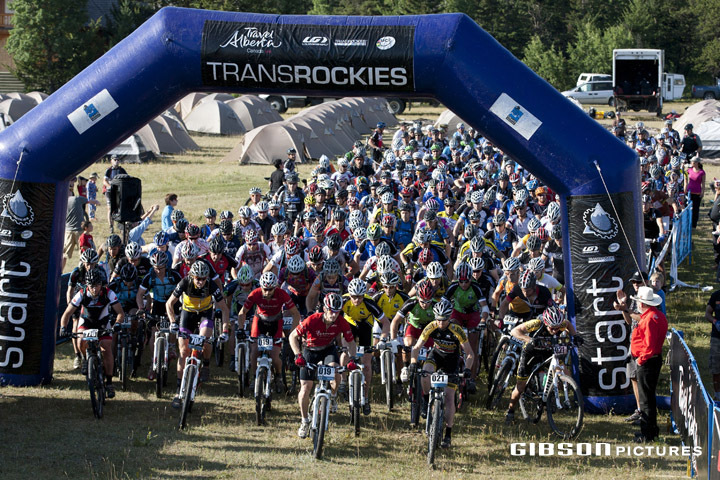 Within the classic 7 day TransRockies Stage race, organizers ran the UCI sanctioned solo TR3 event for the third consecutive year and a solid group of pro riders showed up on the start line. 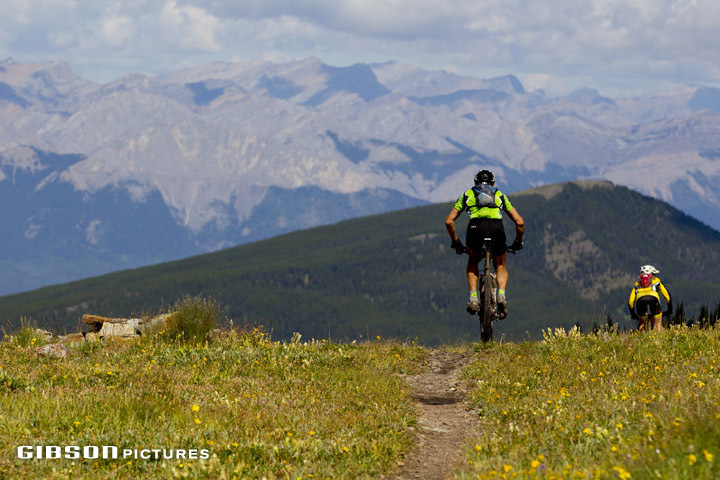 Also for the first time, organizers hosted a solo TR4 race which took place the final four days of TransRockies…all in Alberta. 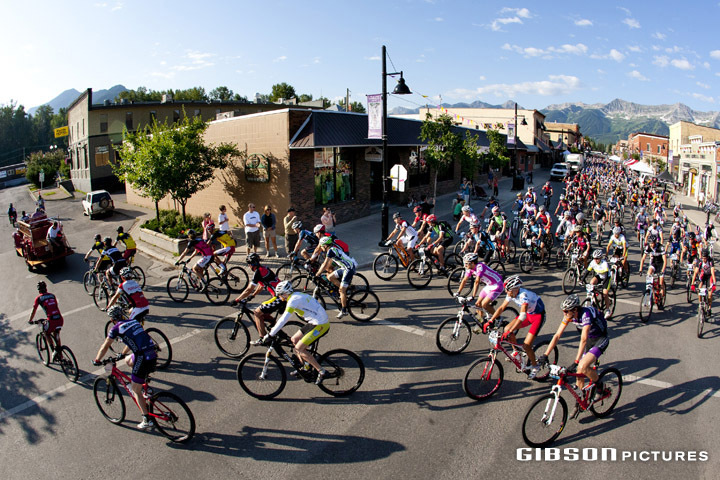 The first three stages were all hosted in Fernie and Max Plaxton won the opening TT and the following two stages. 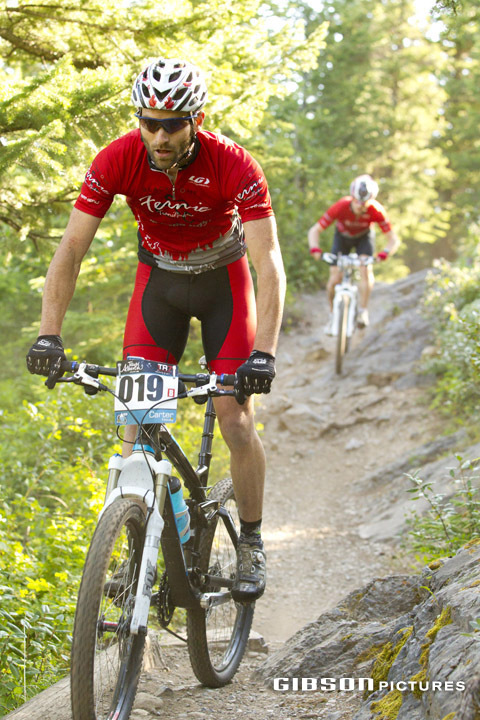 Neal Kindree of Squamish gave Max a good run and took 3rd-2nd-3rd placings on the three stages for second place overall. The girls race was very competitive but it was Mical Dyck who took the opening TT, 3rd on Stage 2 behind Catherine Vipond then 1st again on Stage 3 for the overall. Individual racers and the team riders started at one minute intervals for the TT so there was a bit of time to look around. 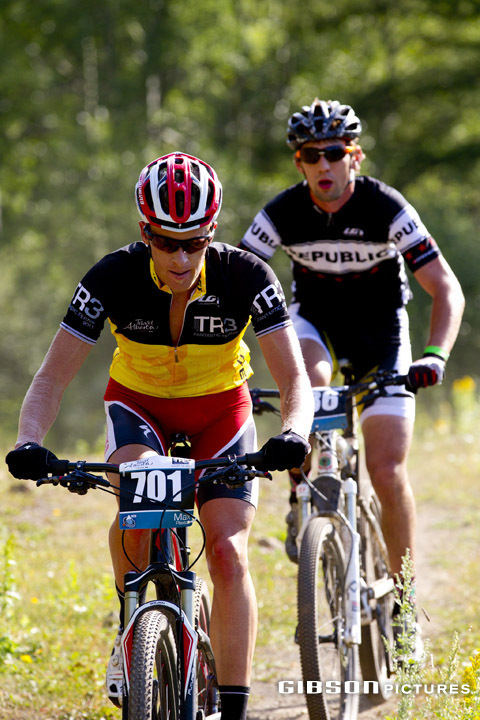 Dax Massey and Nate Bird of Steamboat Springs, Colorado competed in the TR7 race and finish 4th Open Men’s category. 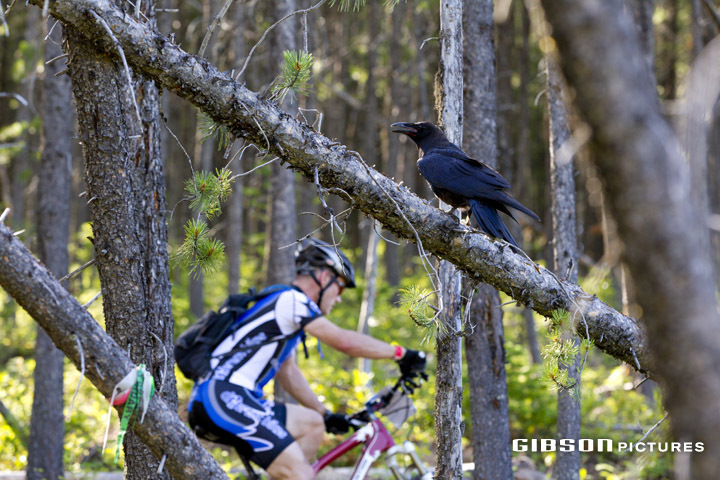 Racers had some company in the woods. 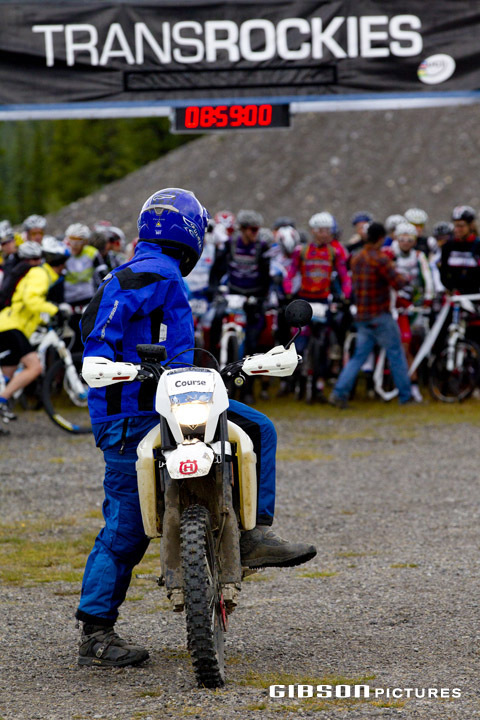 Since Stage 1 was an individual start time trial, Day 2 was the first mass start of this years race. 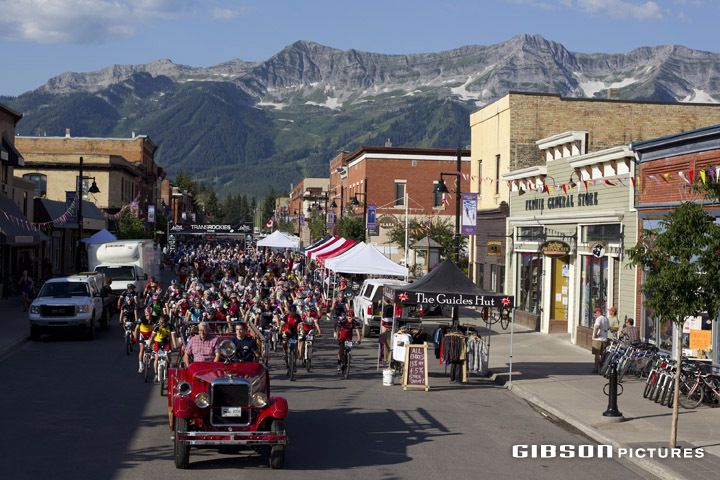 Fernie’s antique firetruck lead the racers down main street at 9.a.m. on Monday morning. Down main street then straight outta town. 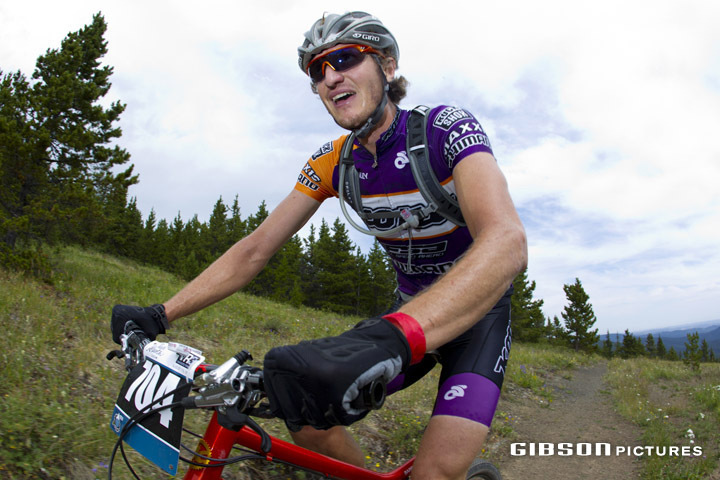 Jon Gould & Stan Magee dominated the 100+ Open Men’s TR7 category … winning all 7 stages and finishing 4:26:06 ahead of 2nd place team in their category. 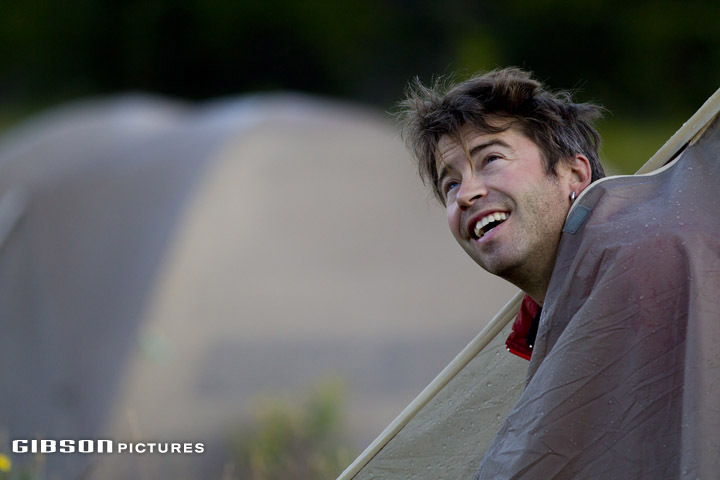 Andy Aufschnaiter seemed to be having a good time. 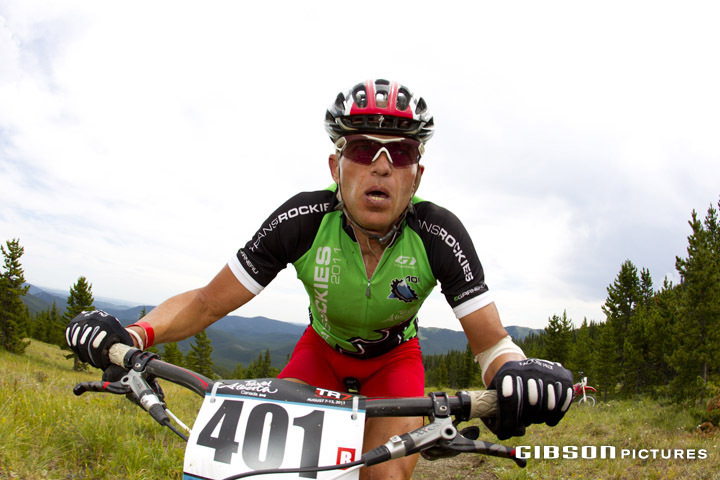 Kris Sneddon of the Kona Factory team was one of the few riders who signed up for the TR3 then afterwords for the TransRockies TR4. 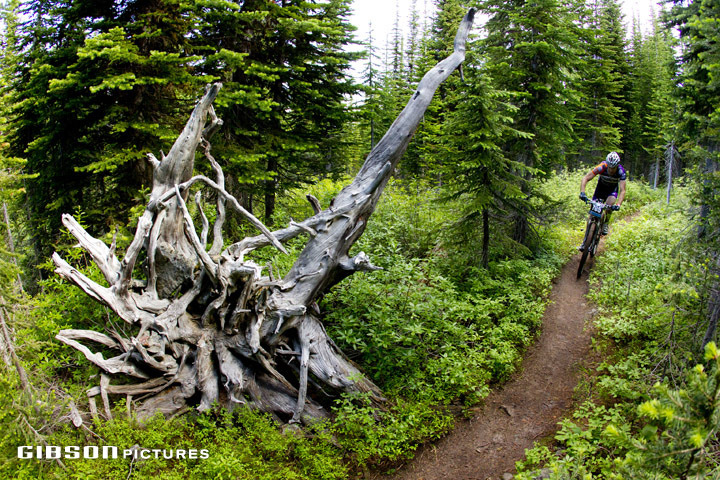 Here he’s shown hitting some sweet singletrack on the way up to the infamous Porky Blue trail. Most of the uphill to Porky Blue was rideable except for this big rock slab near the top. 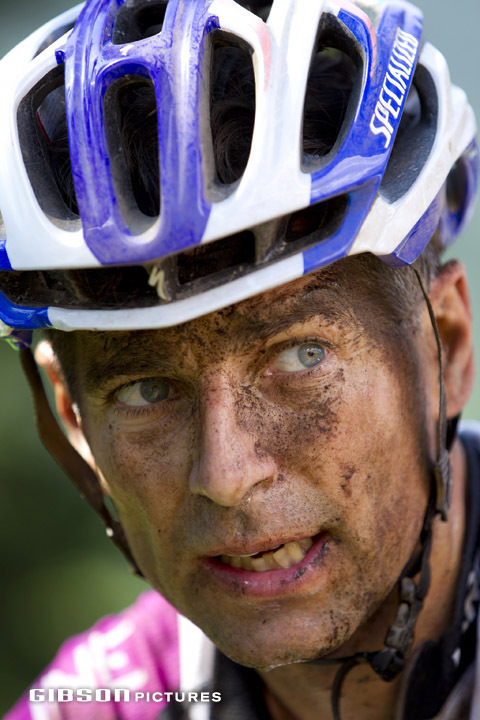 Here Milan Spolc of the Czech Republic negotiates the climb. 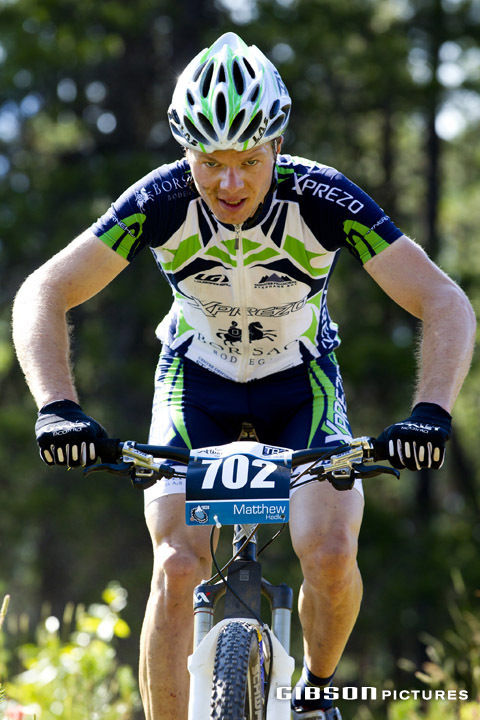 Spolc along with his partner Martin Horak would eventually win the Men’s 80+ TR7 race. 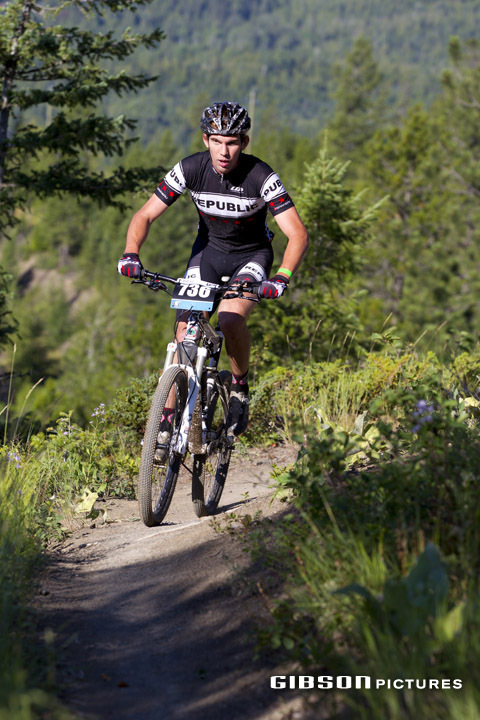 Ryan Draper of Canmore came in hot down Porky Blue but managed to hang on. 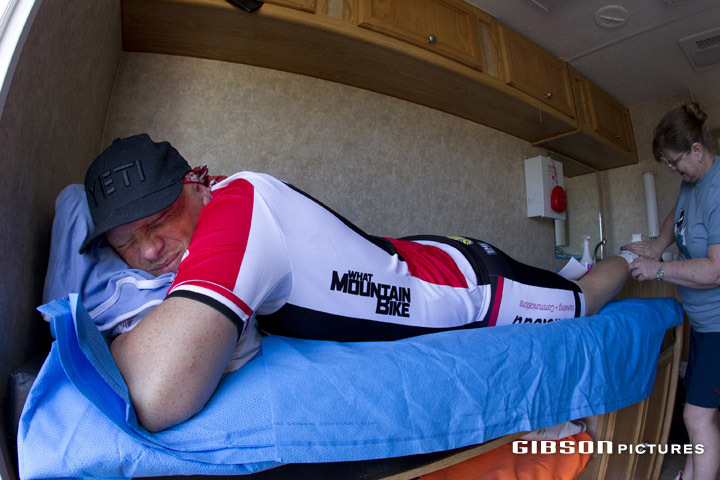 It was busy in the medical truck just prior to Stage 3. 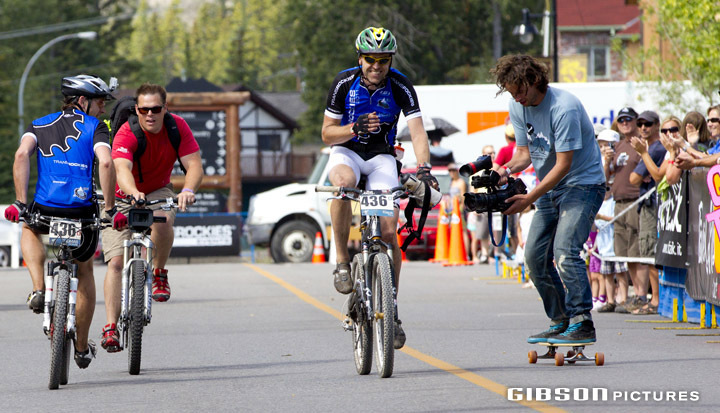 Stage 3 started down main street Fernie for the last time & finished up at Island Lake Lodge. 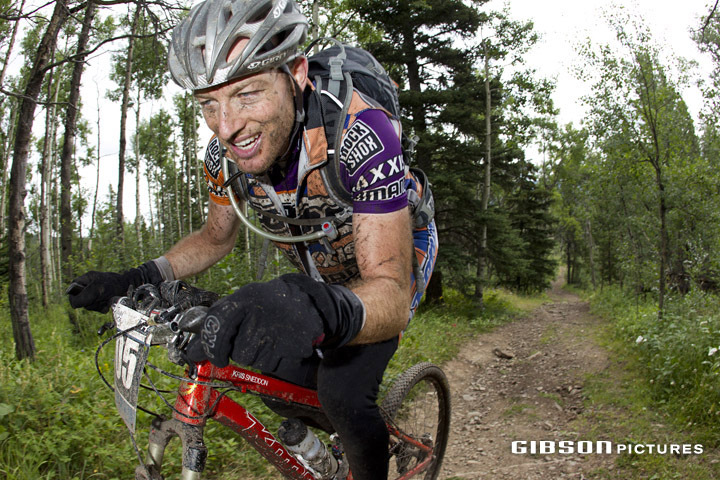 TR3 competitors Max Plaxton and Neal Kindree had an epic battle until Kindree flatted towards the end of the stage. He did though, hang onto his second place overall. 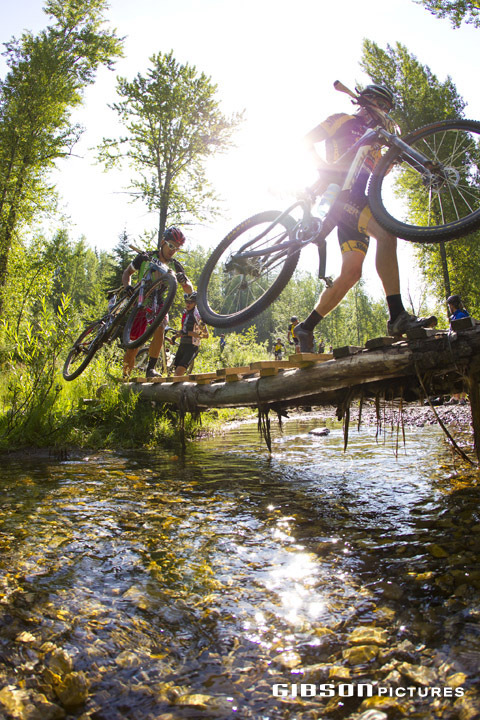 Riders negotiate a river crossing in the early stages of the race. 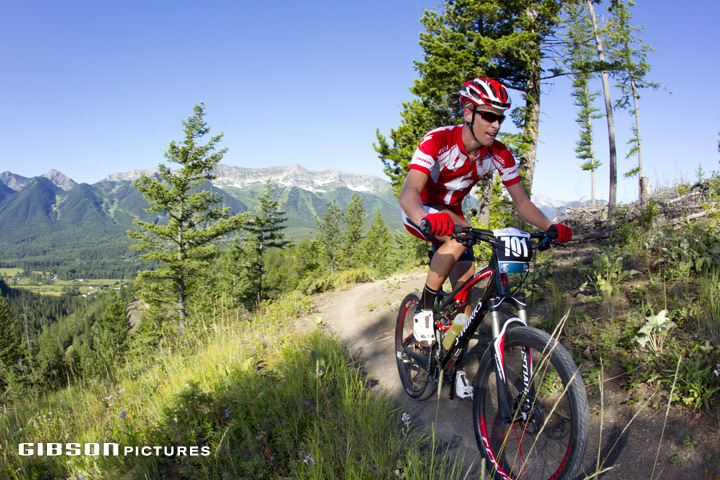 Canadian pro rider Matt Hadley took second place on Stage 3 but settled for 3rd place overall in the TransRockies TR3. 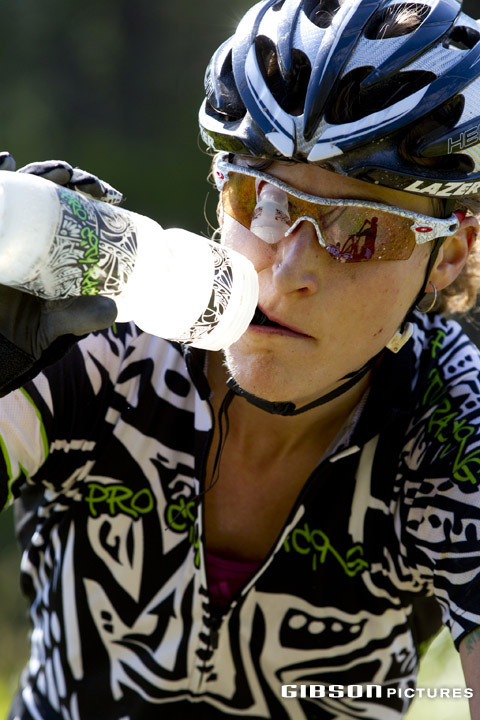 Mical Dyck had a strong final stage and wrestled the Leaders Jersey back from Catherine Vipond who had won Stage 2 the day before. Max Plaxton won the final Stage of the TR3 and the overall…grabbed a bunch of UCI points, some good prize money and a finisher’s medal. 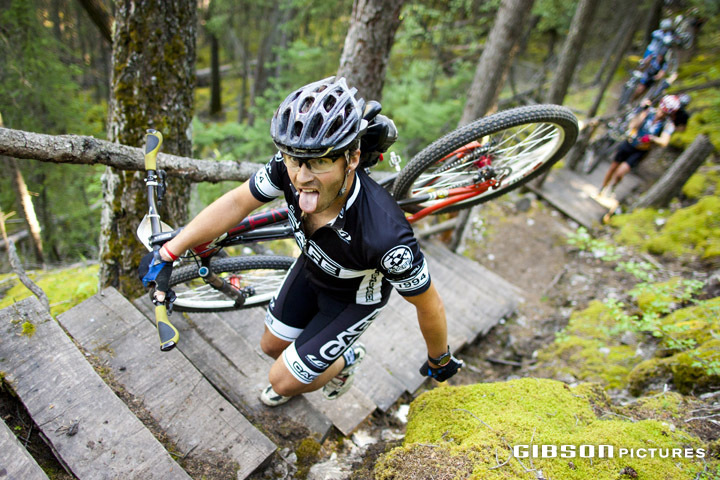 Roddi Lega from Edmonton had some quiet time after finishing the TR3. 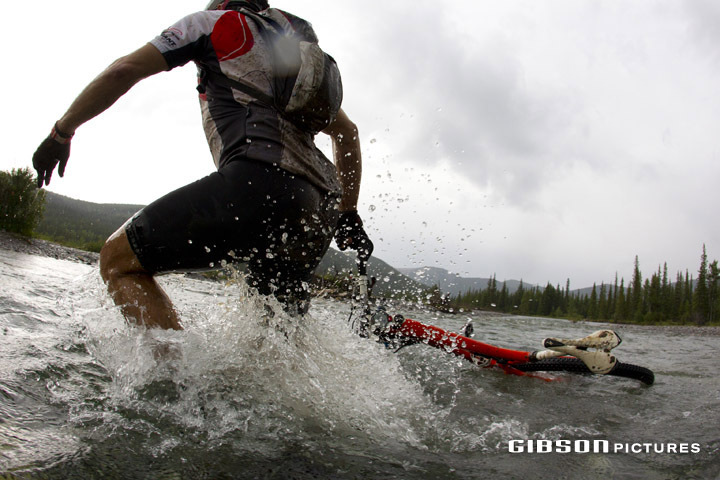 He finished 7th overall with a time of 8:21:02. 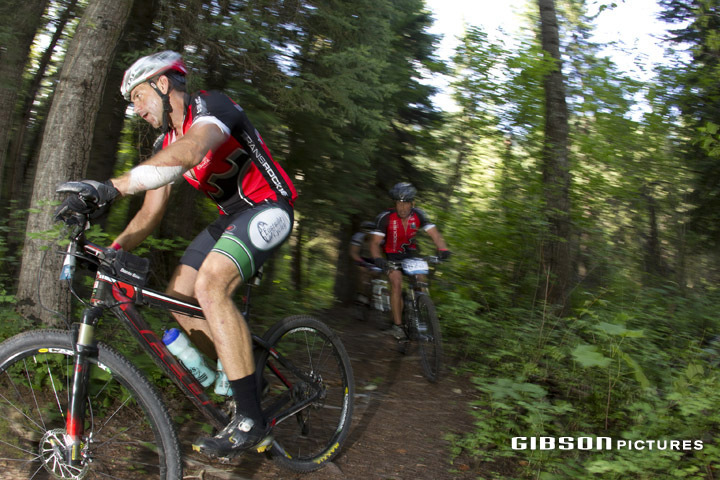 With the TR3 in the books it was time to kick off the first ever TransRockies TR4 event and continue on with the final four stages of TR7 which all took place in Alberta. 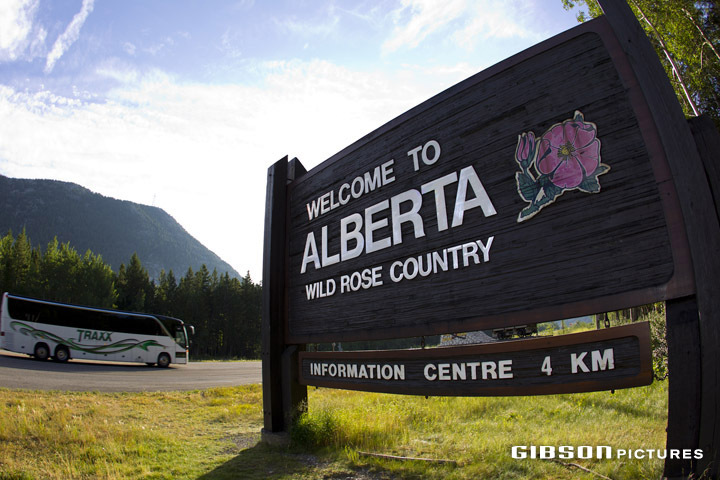 Racers were loaded into buses and were driven to the North Fork Recreation Area just outside of Turner Valley, Alberta. 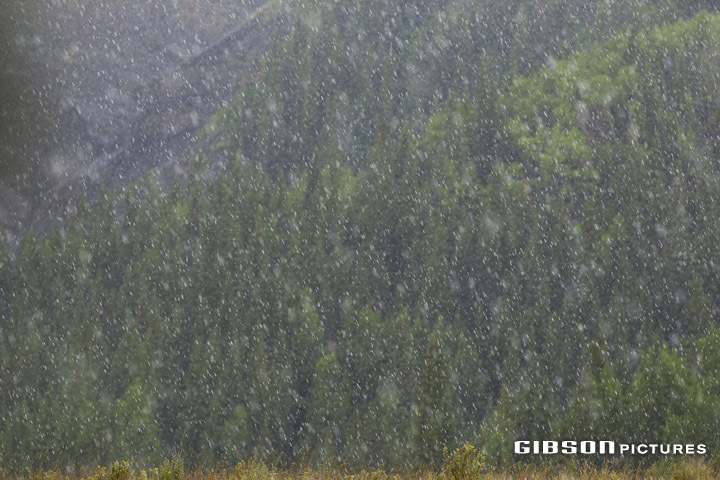 With yesterday’s stage being so hot and that trend continuing the morning of Day 4, many racers left their rain jackets and warm clothes behind. Not Barry Wicks though, he brought a pack full of clothes and supplies. Milan Spolc on the summit of the first climb of the day. 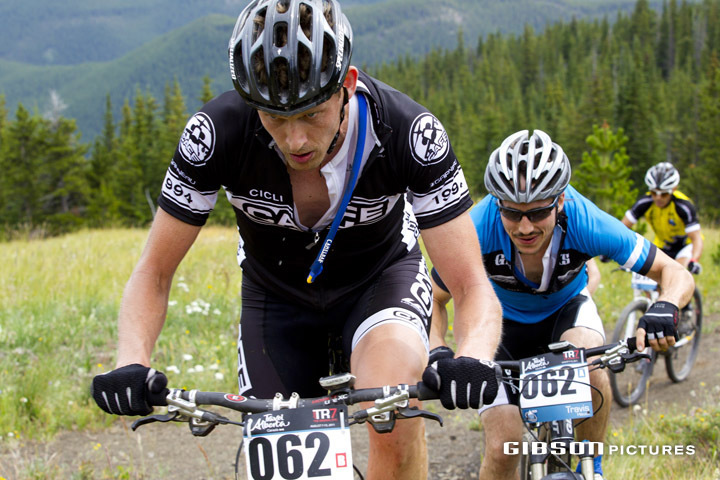 Brian Cooke and partner Travis Hauck of the Ryders Eyewear/Gericks Cycle/Bicycle Cafe team hit the first summit just ahead of the first place men’s team from Switzerland. Bri and Tiny would eventually take 3rd place in the Open Men’s TR7. 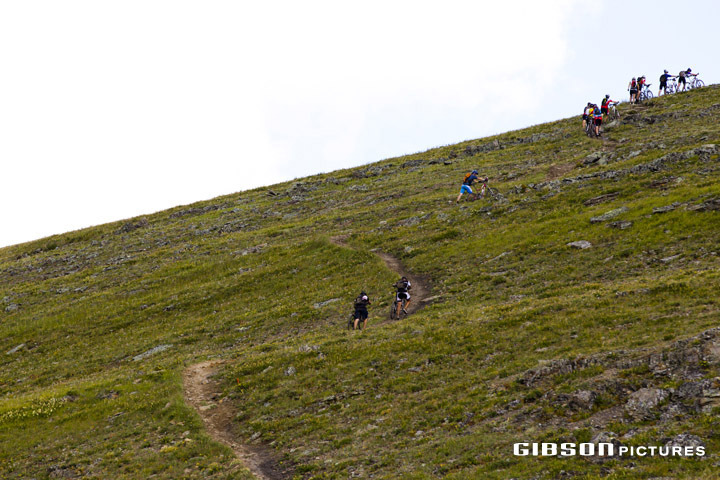 A large group of hikers were psyched to see their first ever bike race up close. 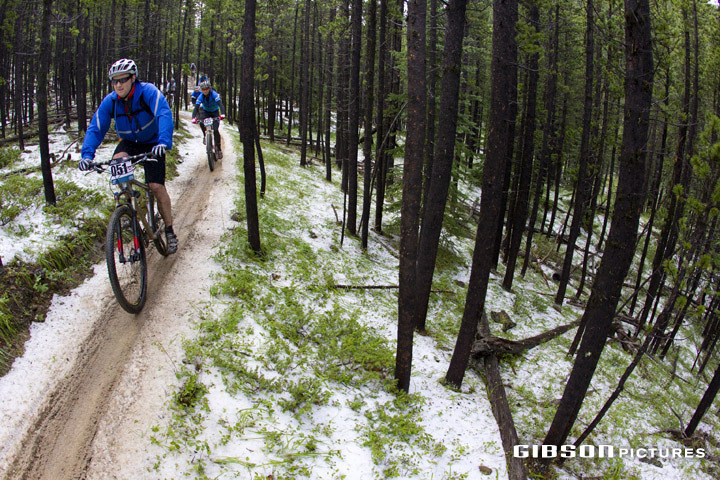 A major hail and rainstorm hit the riders at Allsmoke Mountain in Kananaskis Country. 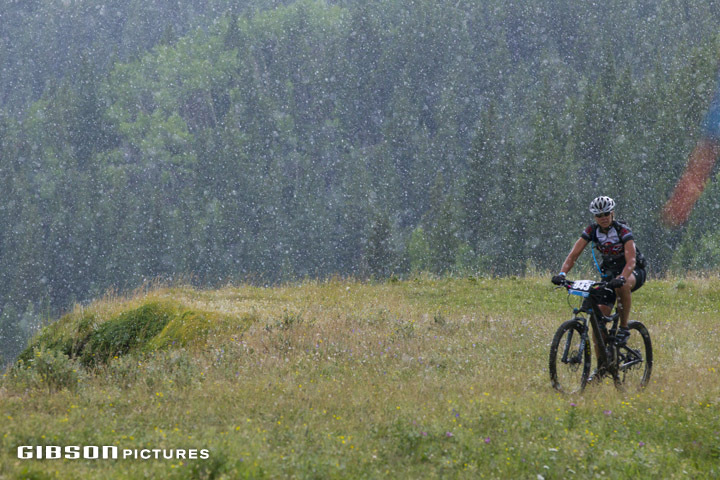 Pam Pearson ended up taking 2nd place overall in the Open Women’s TR4 race. 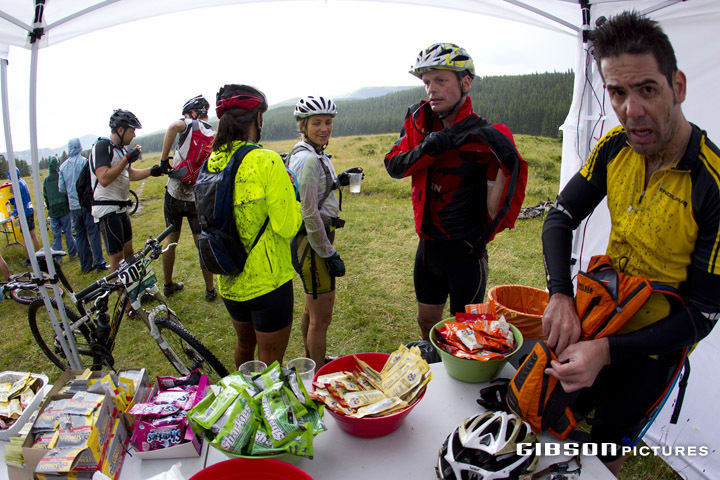 By the time the racers hit Checkpoint 1 they were looking pretty shell shocked. 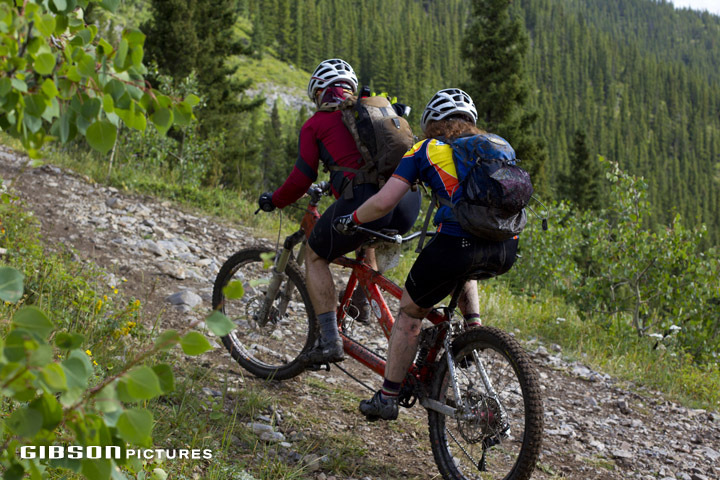 Matt Barlee and his partner Rumon Carter pushed on to the Wildhorse Trail. 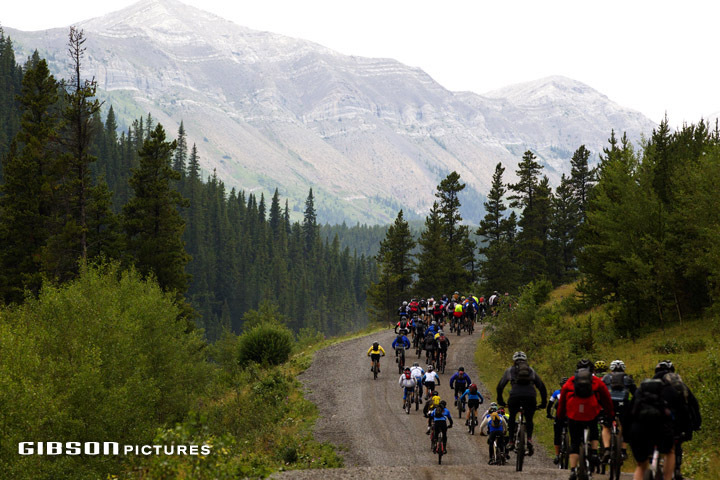 Towards the end of Stage 4 the racers crossed the Elbow River. 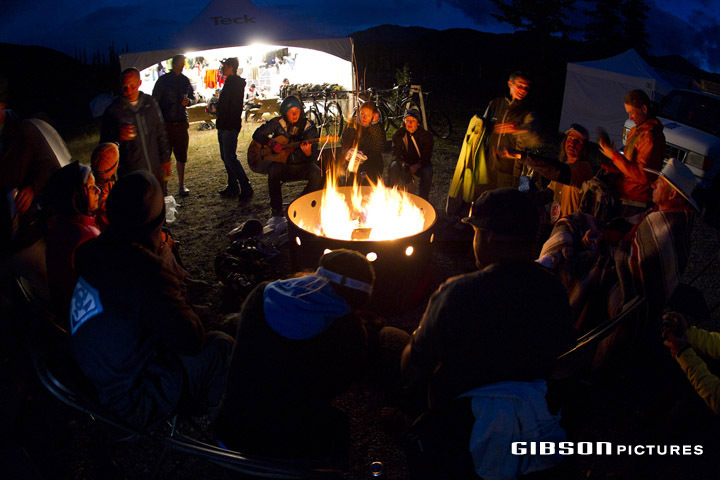 That night the riders warmed up around the campfire in the Little Elbow Campground. 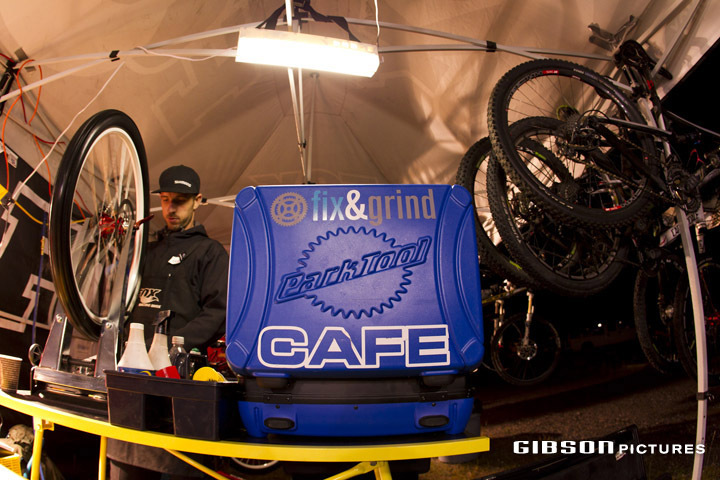 Andrew Dickison of fix&grind worked late into the night getting the bikes running right. Dana Goodman of Team Zach Attack/Make A Wish Foundation lined up for the start of Stage 5 at the Little Elbow Campground. 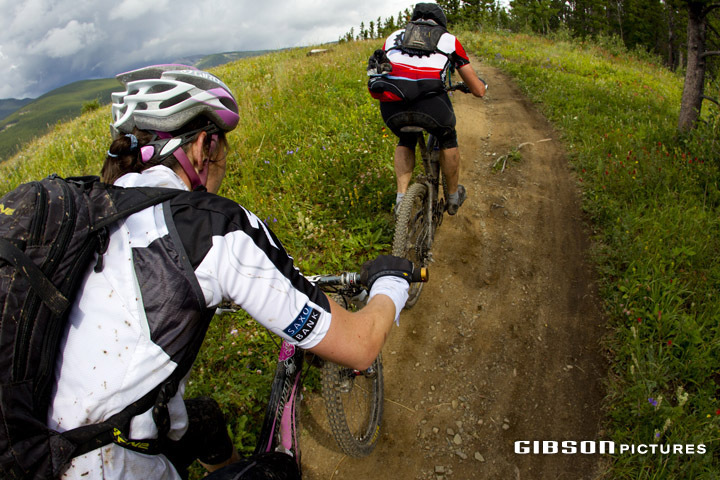 Goodman along with partner Margie Smith eventually took third place overall in the Open Women’s TR7 race. 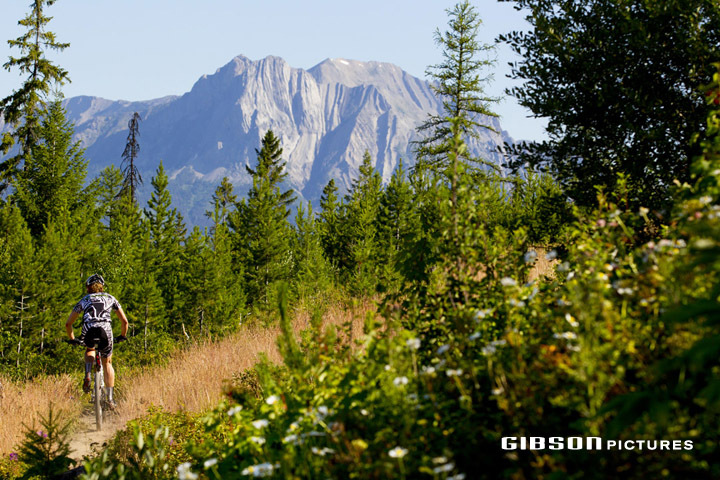 Blair Mackie ready to lead the group out into the trail system of Kananaskis Country. 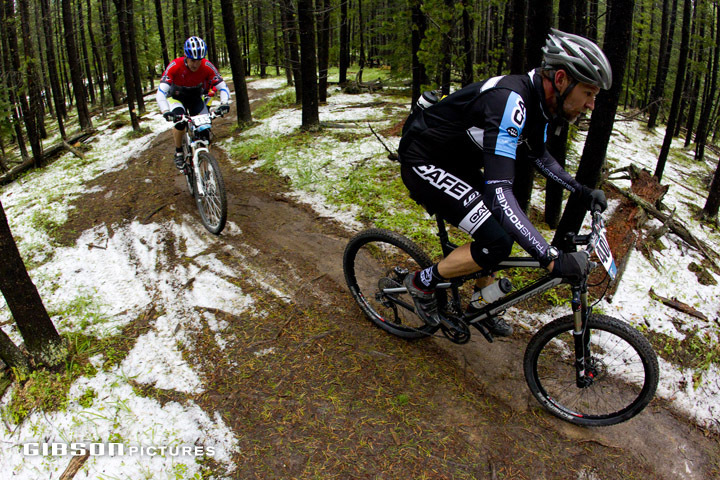 Craig Bartlett of Canmore was not surprised to be riding in the snow and hail in August. 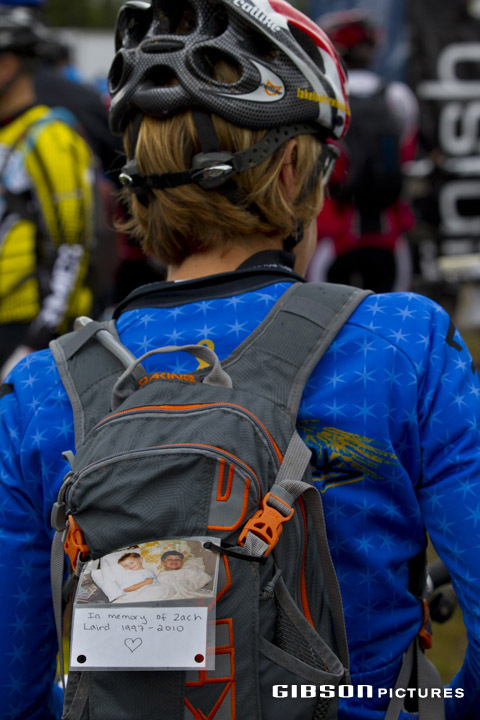 Some good stories to tell from Stage 5. 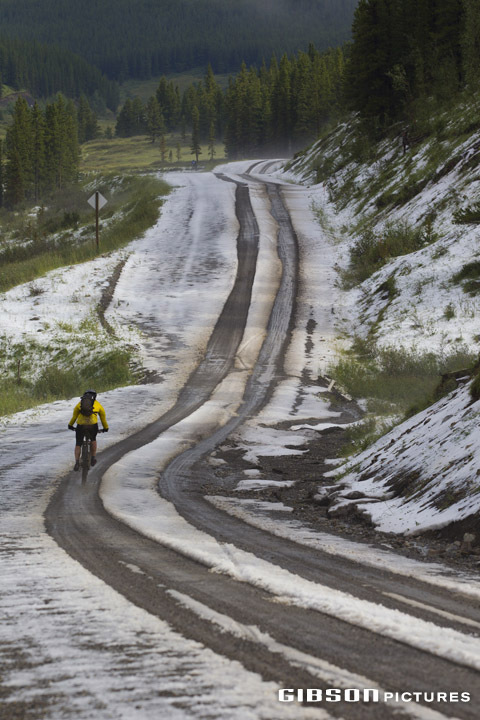 Thomas Miller & Karen Libsch from Idaho plowed through the snow then rode up this climb while many others walked. Heading up Sulphur Springs straight for the big Pneuma Climb. 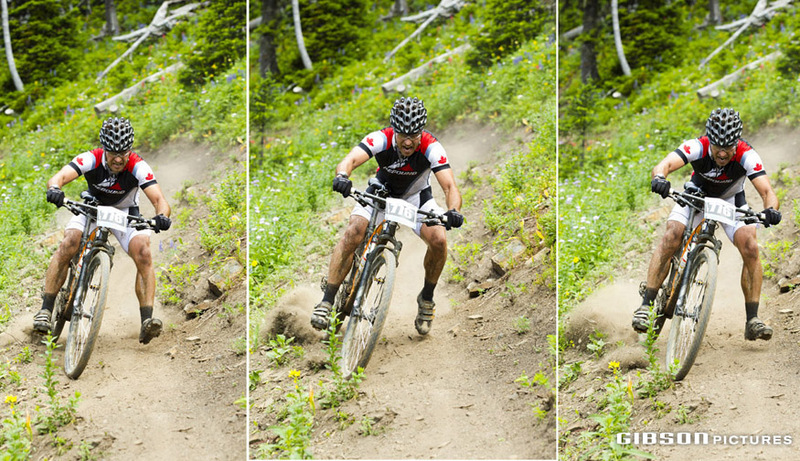 Kris Sneddon heading towards the finish line. 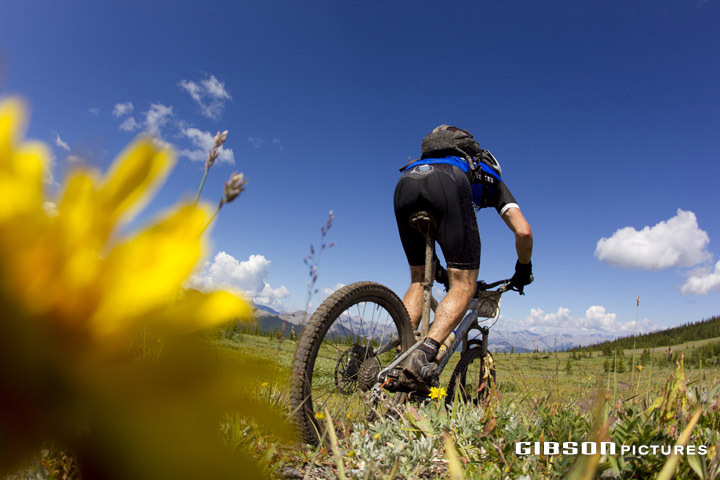 Both Sneddon and Wicks rode the TR3 and TR4 races on their 29’rs. 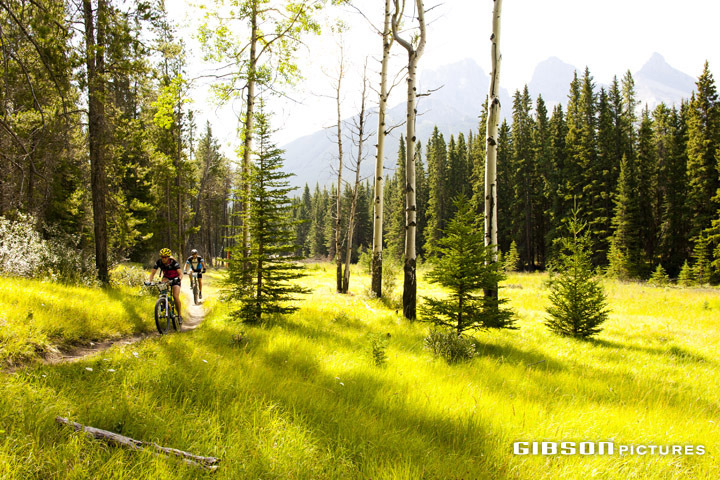 Pam Pearson tackled the tricky Pnuema trail just before the Moose-Packers descent. 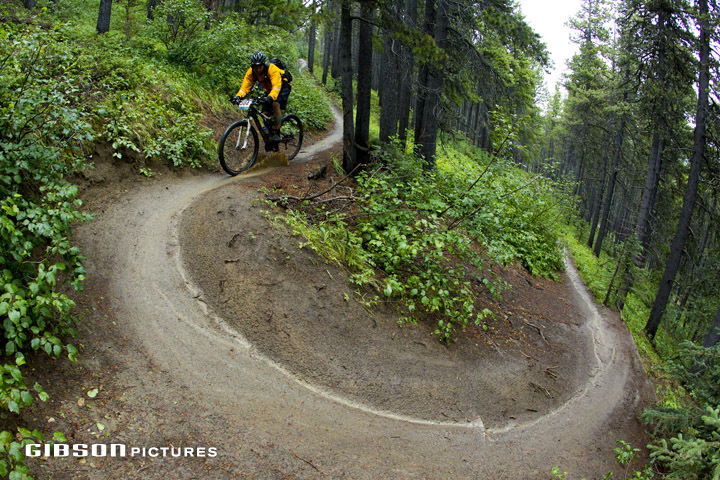 Dennis Loebs loving the switchbacks on Moose Packers trail. Stan Magee happy to be done Stage 5. Crazy Larry happy to be a certified crazy person. 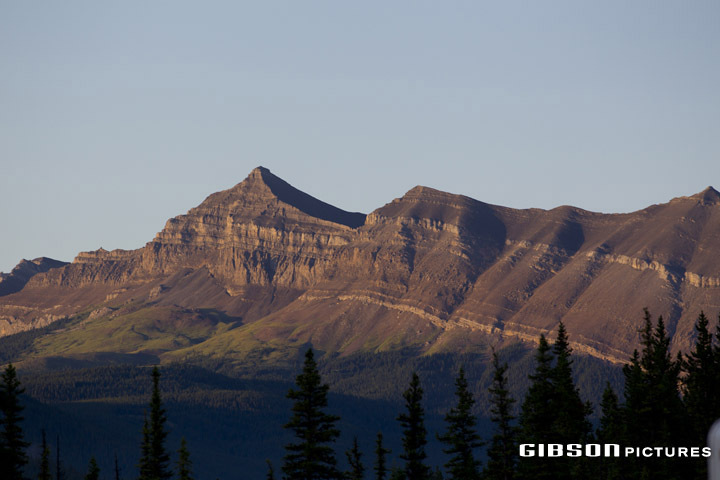 Tom Zidek and the rest of the racers were happy to wake up to a blue sky morning for the Queen Stage of the TransRockies. 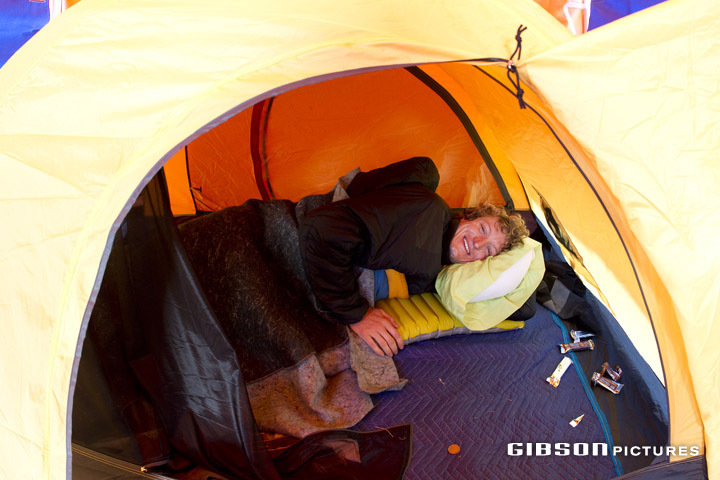 TR4 Race leader Barry Wicks kept cosy in his tent. 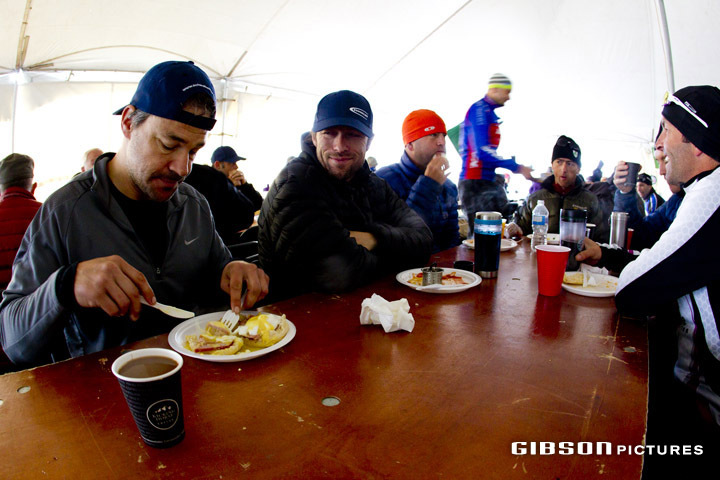 Matt Barlee and the rest of the boys from the Tinhorn Creek/i2P team happy to have a hot cup of Kicking Horse coffee and solid breakfast before hitting the trails. 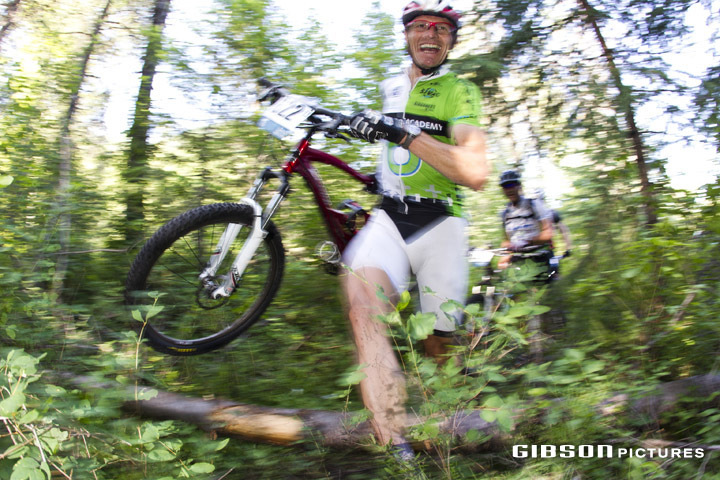 Kris Sneddon hit Jumping Pound Ridge with teammate and TR4 race leader Barry Wicks hot on his heels. 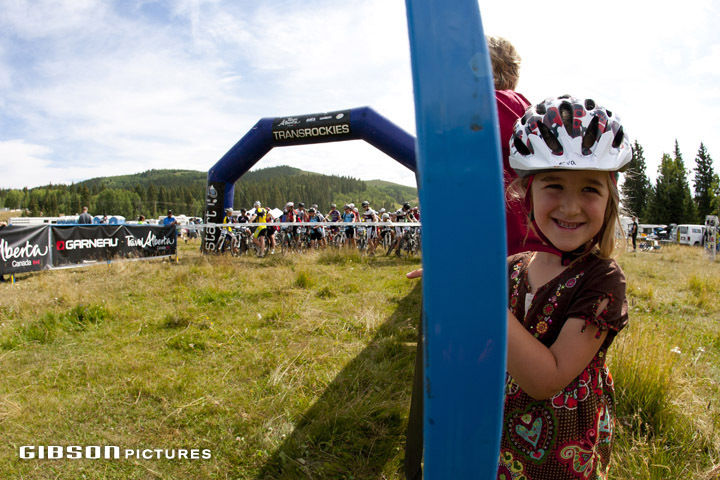 Many racers were astounded by the views from Jumping Pound Ridge. 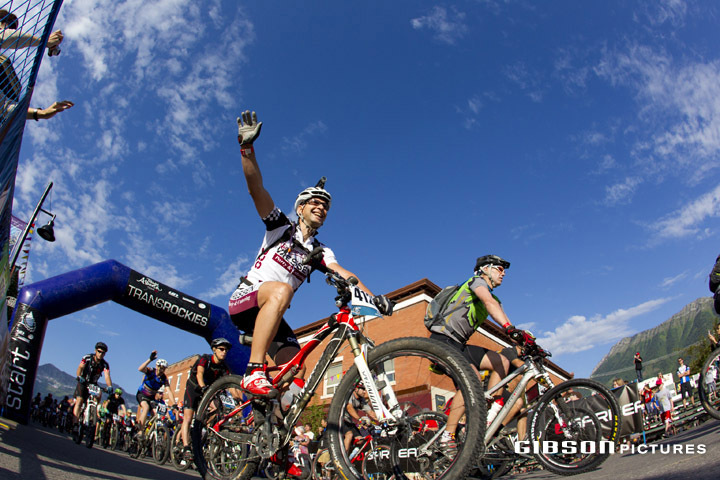 Lots of blue sky on Stage 6. Some riders reported getting up to three flat tires on this stage. 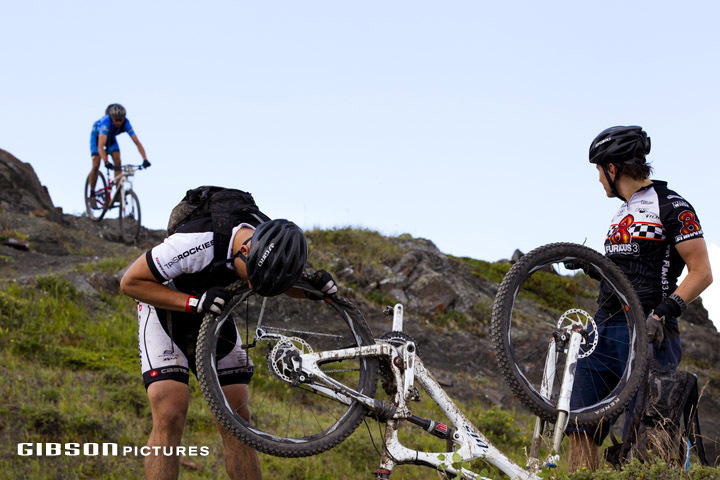 The big push up to the summit of Cox Hill. 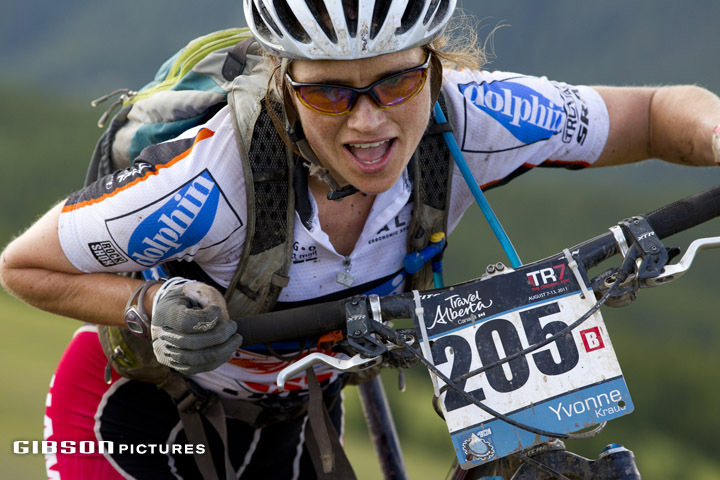 Yvonne Kraus making the final push to the summit of Cox Hill. 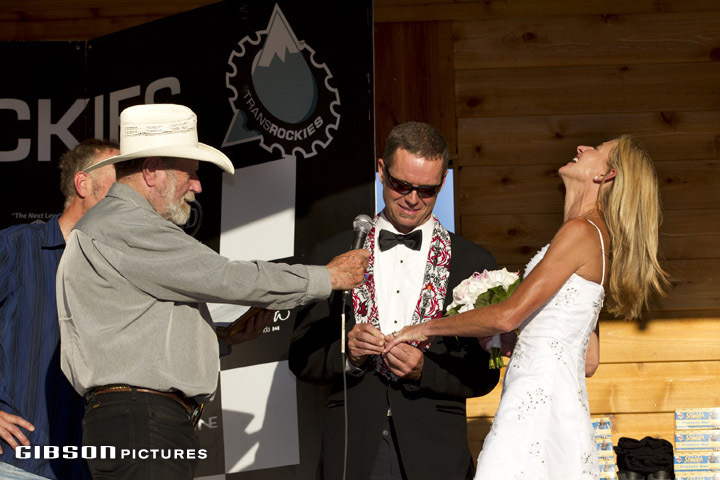 To cap off the epic Stage 6, TransRockies TR7 racers Karen Tremaine and Clint Ball were married at the Rafter 6 Ranch in front of the entire field of racers, their families and the support staff. UK rider Mark Almond of the What Mountain Bike/Red Cloud team dealt with a big blister on his heel all week long but finished his first ever TR7 with partner Gord Dickson. 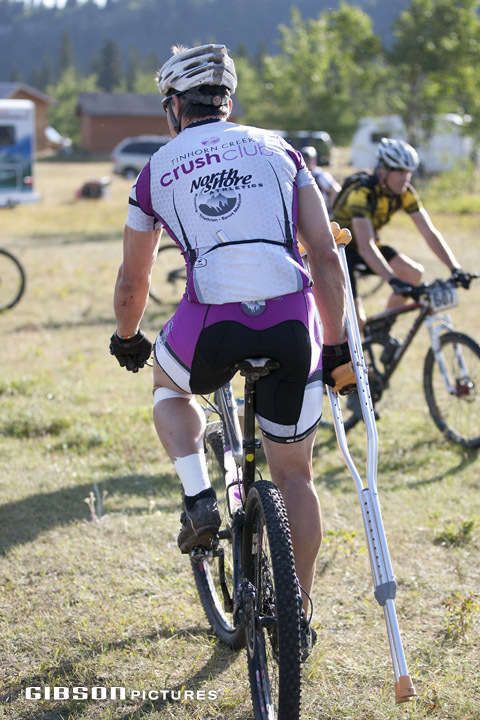 Matt Barlee took a beating but kept on coming back everyday for more. Carter Hovey and partner Martin Vale of Team Fernie were on a mission to catch the overall leaders Mat Haussener and Damian Perrin of Switzerland. 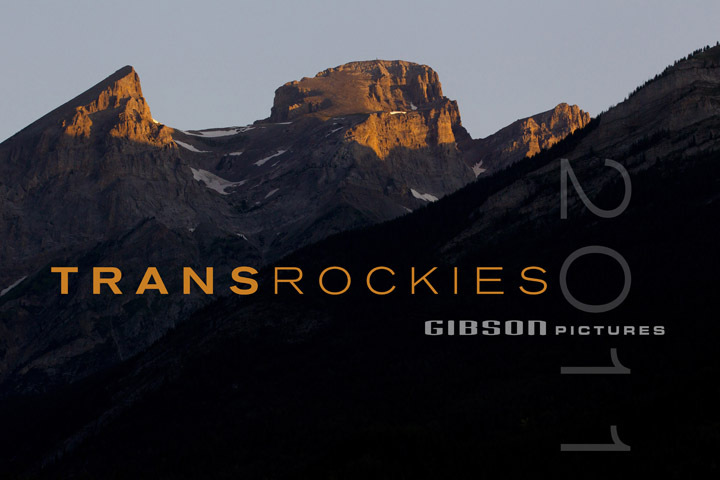 Both teams would end up tying the TransRockies TR7 and shared the top step on the podium at the end of the day. 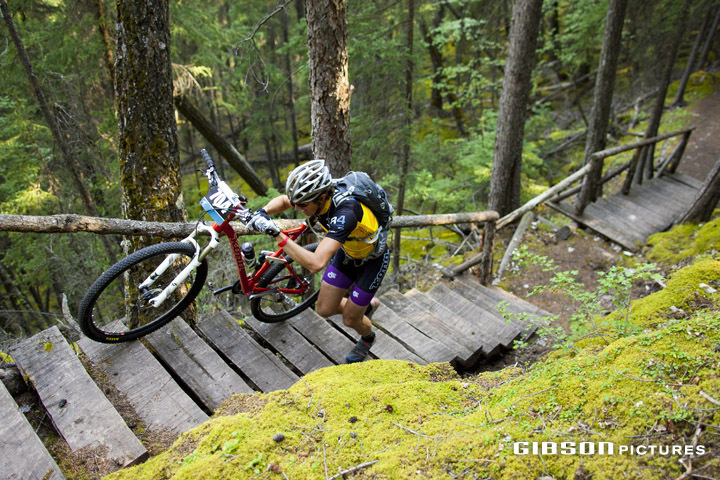 Barry Wicks hit the stairs first on the Trans Canada Trail. 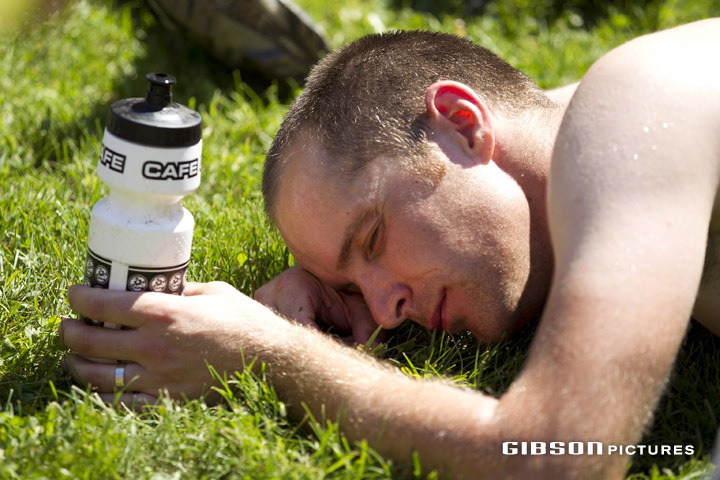 Tom Zidek of the Bicycle Cafe team was already thinking about the finish line. 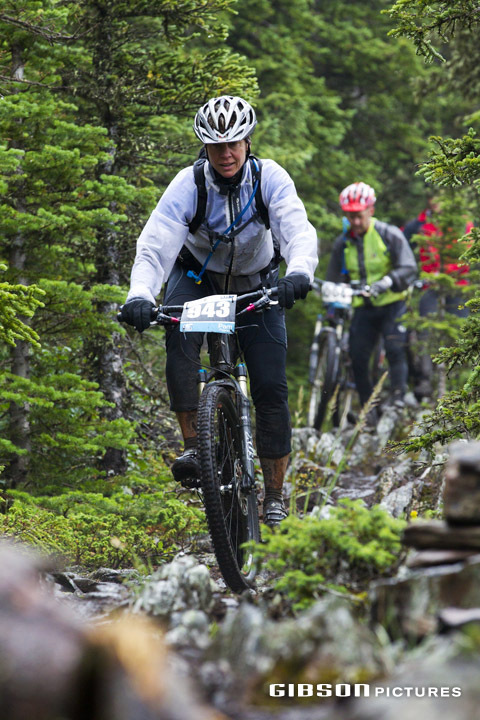 Kira McClellan of Vernon was one of the few riders to compete in both the Solo TR3 and TR4 events. She won the Open Women’s TR4 in a time of 20:17:47. 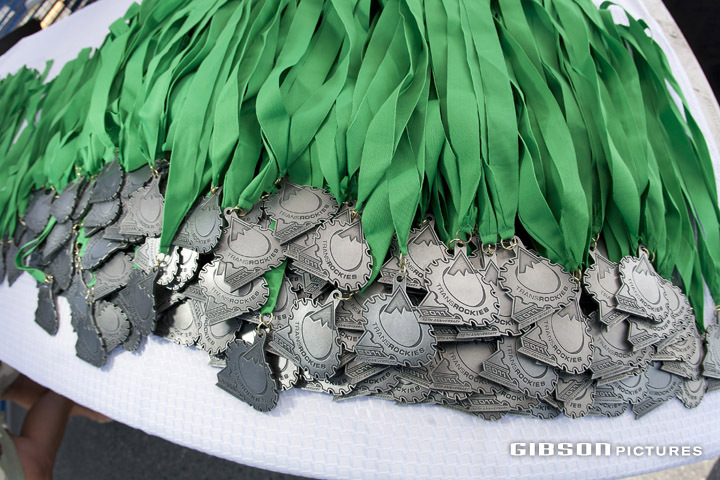 At the finish line on main street Canmore, a pile of TransRockies Finishers medals were waiting for the riders. First across the line was Kona Factory Team riders Barry Wicks, left, who won the TR4 in a time of 12:18:19 and his teammate Kris Sneddon who finished just 3:50. back after four days of racing. Both riders did the TR3 as well with Sneddon taking 5th and Wicks 6th. 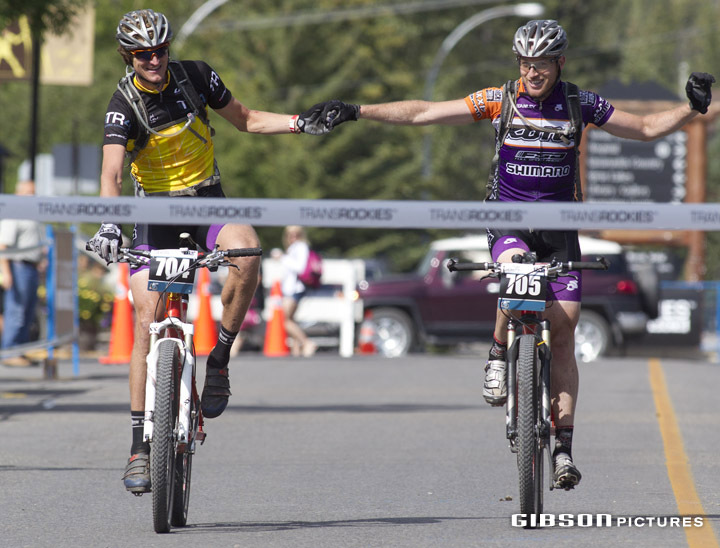 Carter Hovey and Martin Vale celebrate their excellent final stage of the TR7 which moved them into a tie for first place overall in the Open Men’s category. 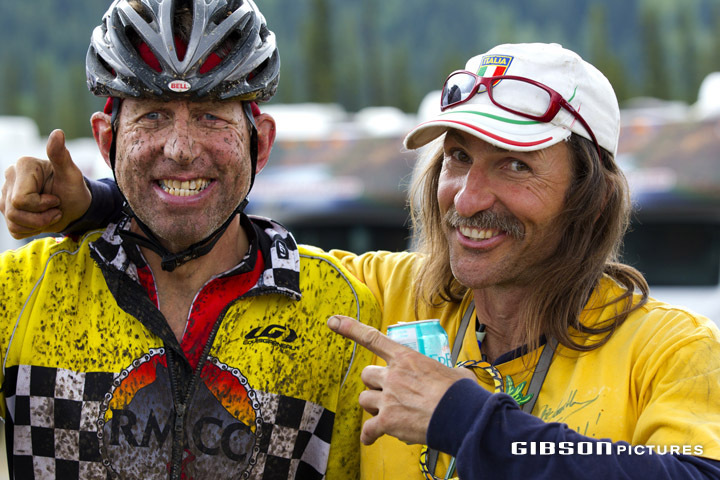 Damian Perrin, left, and Mat Haussener of the Swiss Zaboo Team celebrate finishing the TransRockies TR7. 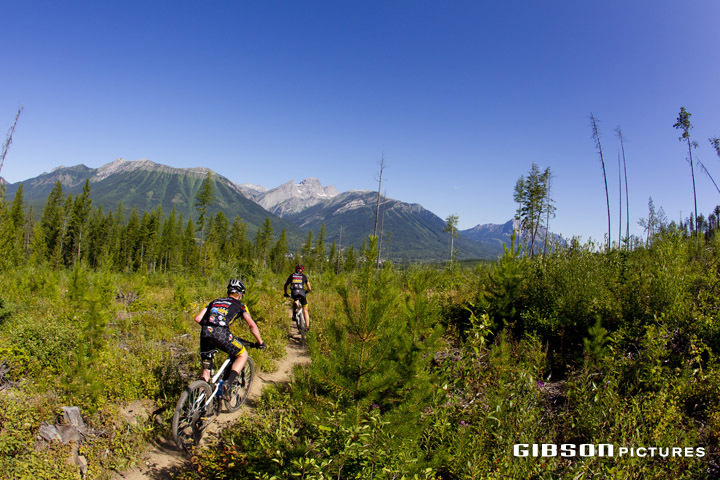 They tied Carter Hovey and Martin Vale of Team Fernie and both teams shared the win after seven days of racing. Martin Horak and Milan Spolc of the Czech Republic won the Men’s 80 + TR7 despite Martin breaking two fingers earlier in the week and riding with them taped to a splint. 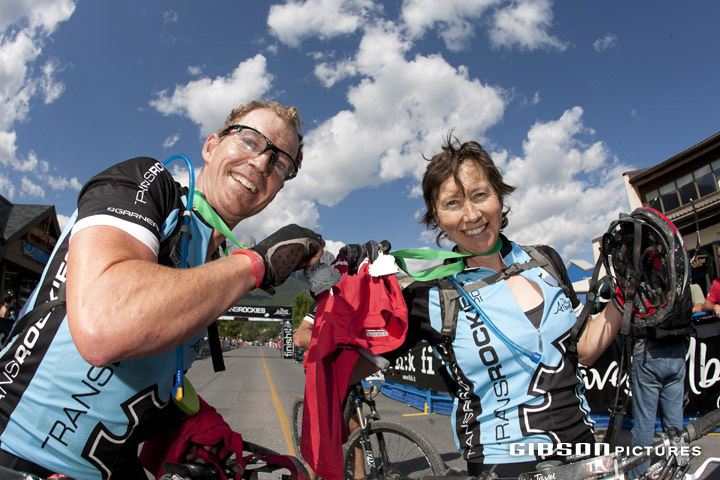 Ryan Schellenberg and Trish Grajczyk of Calgary celebrate winning the Open Mixed Category of the TR7 with an overall time of 26:44:59. 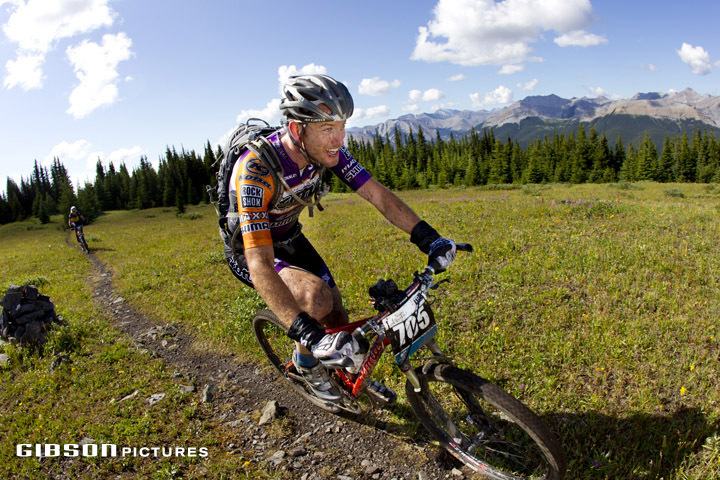 Thomas Wockener, riding backwards and teammate Klaus Pauly finish the TransRockies. 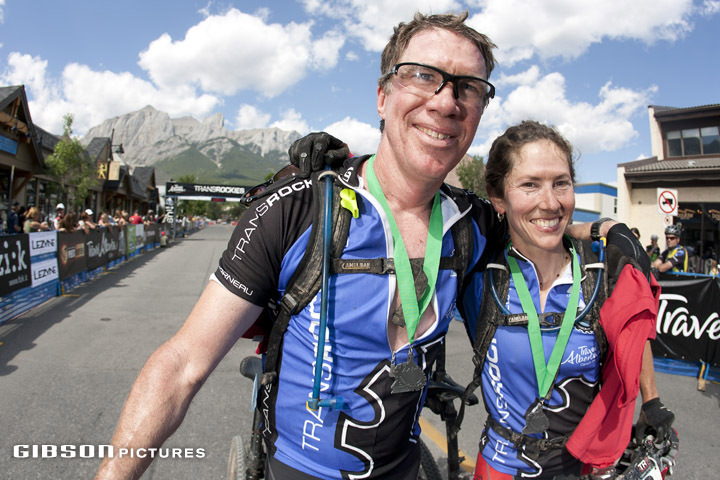 Steve Walsh and Alana Heise, 1st Overall 80+ Mixed Team TransRockies TR7. 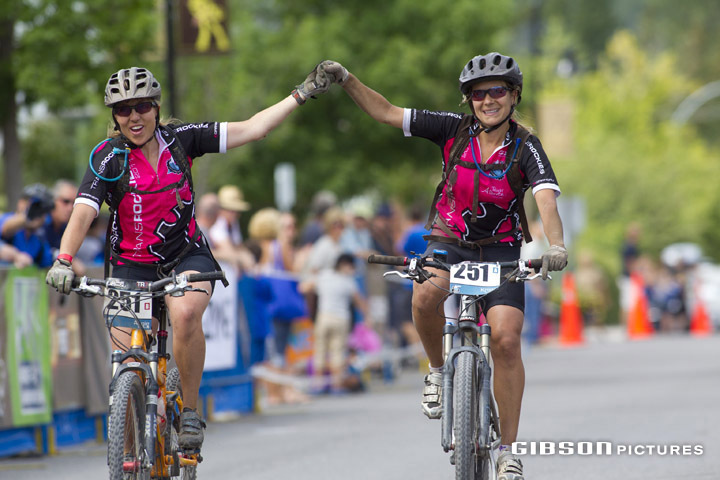 Angie Krasnay, left, and teammate Kirsta Turcasso of Team Fernie Fix won the TransRockies TR7 Open Women’s category. Yvonne Burgi and Simon Zahnd of Switzerland-3rd Overall Open Mixed TR7. Newlyweds Karen Tremaine and Clint Ball celebrated their first day of marriage on main street Canmore after finishing the TR7. 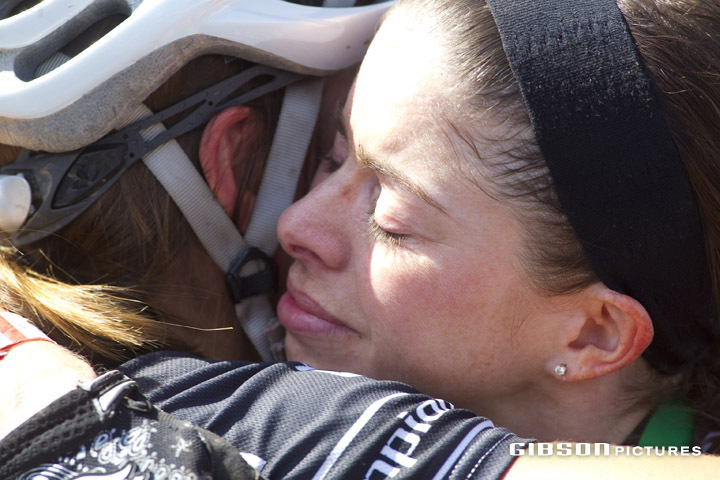 Jennie Sprigings, left, and Lisa Munkley happy to finish the TR7. 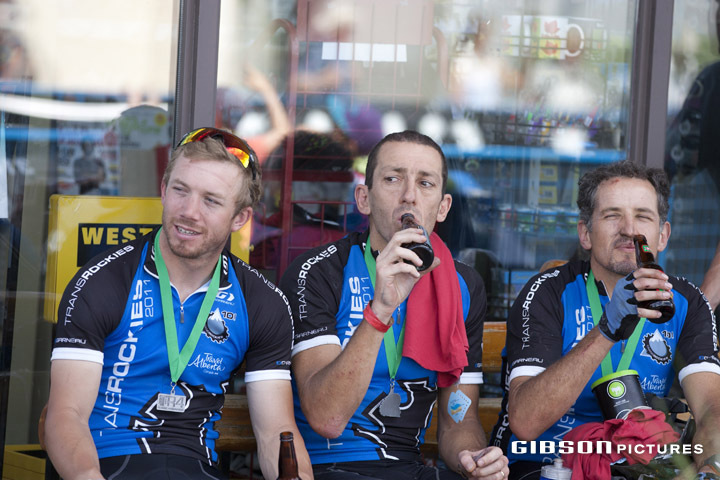 After receiving their finisher’s medals it was all over except for the drinkin’ … TransRockies 2011 is a wrap. Great job everyone. Nice shots John. I reposted this on the explore-mag Facebook Page. Incredible Photo’s very Inspirational! 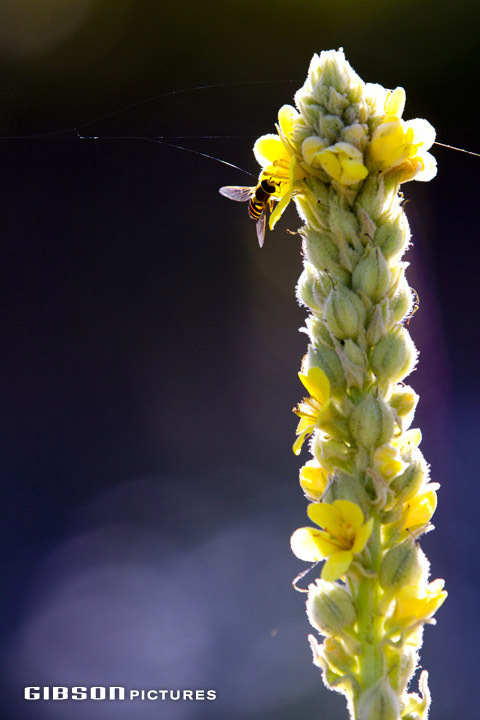 I’m wanting to go into Photography when i’m old enough to some feedback on my Blog would be amazing help, Thanks! all right thanks a lot…great job on your blog just keep doing what you’re doing!